What is the purpose of the Polyfold Lightweight Table? 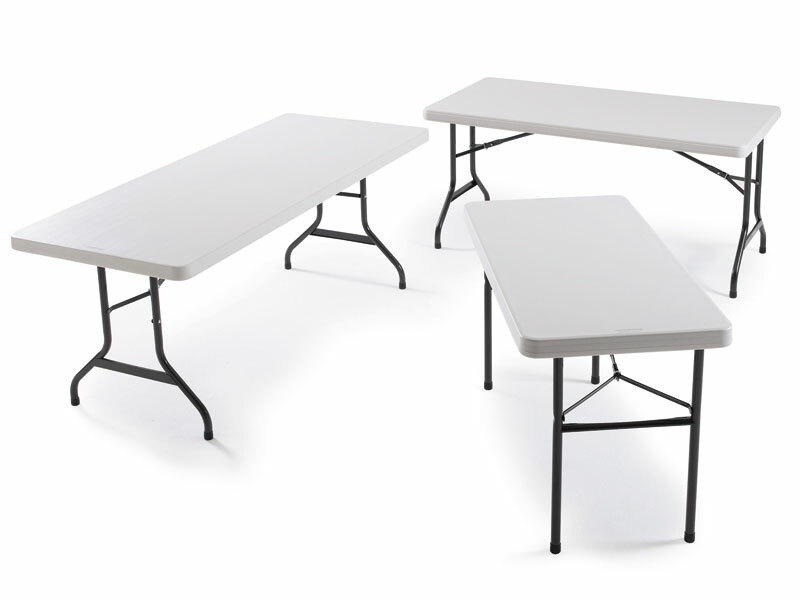 You can use a Polyfold lightweight table for multiple different occasions. Whether you are planning on hosting a party or you need a table for an event, this is the perfect way for you to seat guests or to use it to place items on. One of the great things about this product is that it can be used just about anywhere. Whether you need it at your work place or at home, it is portable enough to take with you wherever you need it. Think about using it when you have a party going on or a function for work—it's a great way to help you put it together with a limited amount of effort. 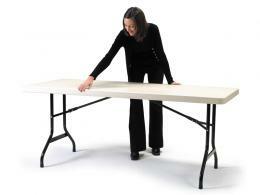 Anyone who needs a table for an event or for work will find this is the perfect Polyfold lightweight table for them. It's foldable, easy to transport, and easy to clean, so if you need something to take to an event, this is a great product for you to use. Those who deal in several different industries can use this table for multiple different reasons, so it's a good investment for you and for the rest of the company. The Polyfold Lightweight Table has foldable legs, making it easy to transport it to another location if need be. You can easily wipe the top of the table with a hygienic wipe—the one-piece all weather polyethylene top makes it ideal for both the indoors and out. You can fold it flat for storage and it is available with a beige top and dark bronze frame. It also includes a warranty of one year and you can get it in several different dimensions depending on what you want.